This week on Top Ten Tuesday is top ten best books of 2016. I'd love to say that my list "is in no particular order", but it kinda is. 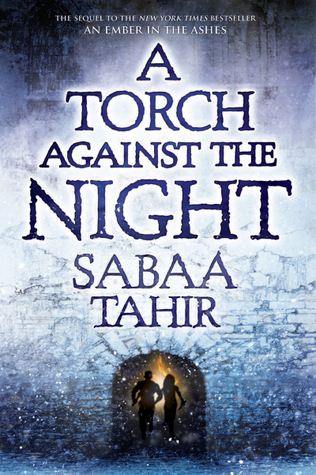 A Torch Against the Night stole my heart as no book as done in many years. 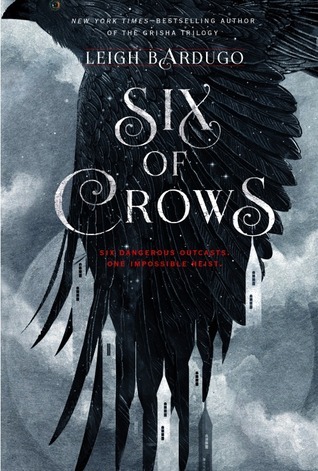 And the Six of Crows duology made me love Leigh Bardugo (and Kaz... and Kaz and Inej *.*). So, from top to bottom, here are my favourite readings of 2016. Six of Crows Duology, Leigh Bardugo. This year was the first time I plunged into the Grisha World and I loved everything about Six of Crows and Crooked Kingdom. Ketterdam was such a beautifully-dark world.This duology will always be one of my favourite readings because of all its twists, Kaz's devious schemes and my beautiful and strong Inej. Starbound Trilogy, Amie Kaufman & Meagan Spooner. I don't read much sci-fi and I was pleasantly surprised with how awesome this series was. 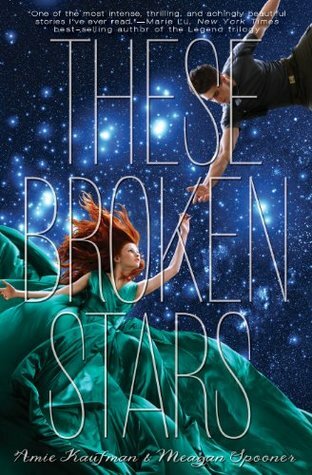 My favourite book from the series was without a doubt This Shattered World. I loved Jubilee and Flynn, two star-crossed lovers who would never imagine that their soulmate was on the other side of swamp (another ship I'll go down with). The Scorpio Races, Maggie Stiefvater. If you read my review, you know there was nothing I hated about this novel. The writing was beautifully-raw. I loved Sean and Puck and Corr -his crush on Dove was pure cuteness. *. * The worldbuilding was simply flawless (a harsh and cruel world where death hovers, but at the same time entrancing). Thank you Carla from @CuidadocomoDálmata for recommending it. A Thousand Nights, E.K. Johnston. 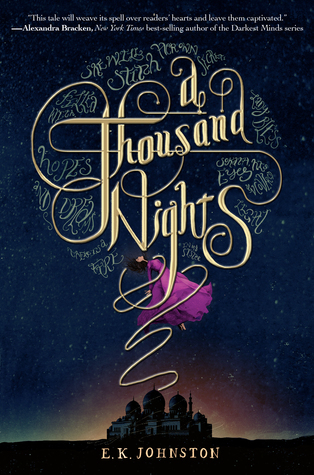 This retelling of One Thousand Nights is simply beautiful. There is something magical in E. K. Johnston writing that brought such a realness to the novel that I couldn't put it down. A fairytale retelling lover as me, could not help but fall in love with this story. The Star-Touched Queen, Roshani Chokshi. 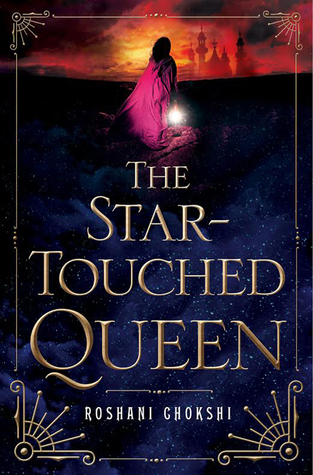 I confess that I first fell in love with The Star-Touched Queen because of its cover. Then, because of its summary (I can't resist mythology even though my Indian mythology knowledge was -still is- little to none). And finally, I fell in love with the story and the characters and the world... Gosh, the world created by the author was mythical and enchanting and I can't wait to reconnect with it in Crown of Wishes. 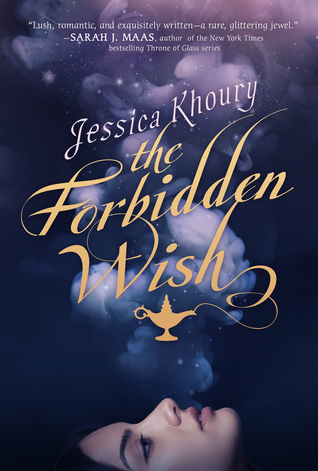 The Forbidden Wish, Jessica Khoury. This novel was another pleasant surprise. I sensed I was going to love it because I'm a retelling lover (I promise I'll try not to repeat thisas much in 2017 because you must be tired of me always saying the same old same) and the idea of the jinni being a girl was very intriguing. I loved everything about this novel and when I finished it, I wanted to read more. Can there be a sequel? Wow, many of the books you've listed sound really good. Happy reading to you in 2017! !